Malware, ransomware, spyware and other such computer viruses can cause extensive damage to your smartphones and PCs, thus attacking your personal security and also your finances. These computer viruses are treated to be a threat all over the world. In today’s constantly connected world it is possible to contract a computer virus through a number of ways. Viruses are capable of spreading through Internet file downloads, social media scam links, and email and text message attachments. Even your smartphones and mobile devices can become infected with mobile viruses via untrusty App downloads. Furthermore, viruses can hide disguised as attachments of content that can be socially shared such as greeting cards, funny images, or video and audio files. To prevent such virus attacks and protect your device, you will have to choose the best free antivirus. There are indeed a variety of free antivirus software programs you can choose from. This is considered to be the best virus protection software as it ranks at the top in reference to protection capabilities. 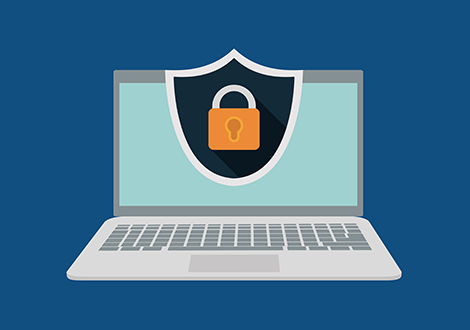 Available for both personal and business use, CIS combines firewall, antivirus, automatic sandboxing, host intrusion prevention, and behavior analysis to effectively render the malware useless. The user-friendly interface permits you to scan your computer, identify and remove malicious files, obtain detailed analysis reports when needed, and keep your drives clean. Comodo Internet Security provides free Antivirus with great features like containment technology embracing artificial intelligence. It ensures behaviour-based detection of threats. Any malicious activity found, will be instantly isolated through containment technology, thus protecting your PC and the user experience, while the file goes through verification and assessment inside a virtual environment. Unlike the traditional Antivirus, Comodo Antivirus offers Default Deny Approach that denies access to all software that are not on Comodo's whitelist, there are more than 2,000,000 files in the Comodo’s whitelist, which are verified to be safe for the users’ systems. This antivirus software is capable of blocking malicious URLs, protecting you from malware, and even rating the safety of all the sites you visit. This free antivirus protects your devices with a single subscription and also alerts you about risky Android apps even before you download them. You are provided with a free 30-day trial of the whole product with no obligation. Bitdefender Antivirus Free Edition is free to use and extremely fast. It is loaded only with the bare-bones protection features essential for all computers. Powerful scan engines guarantee detection and removal of all malware, such as worms, viruses, Trojans, ransomware, rootkits, spyware, and zero-day exploits. FortiClien Antivirus is considered to be an endpoint protection capable of providing automated next-generation threat protection, including visibility and control of your hardware and software inventory across the whole security fabric. Immunet Free Antivirus is considered to be a reliable security software capable of protecting your computer against malware using cloud-based anti-virus solution. This software provides a lightweight and fast cloud-based virus detection and also powerful tools that help to delete threats that have been identified. File management and protection: scan individual files, scan compressed files, quarantine infected files, exclude files. ClamWin Free Antivirus is available with an easy installer and open source code. Used by all over the world on a daily basis, this free software is apt for Microsoft Windows 10 / 8 / 7 / Vista / XP / Me / 2000 / 98 and Windows Server 2012, 2008 and 2003. This is a free security and privacy software package that has been designed for protecting casual web users and corporations from online attacks. The real-time protection offered by this software enables checking your computer for any suspicious activity. It detects and then stops malicious actions, safeguards your camera against unauthorized access, and prevents USB viruses from harming your PC. Some files that are downloaded contain harmful programs that can very easily infect your PC and result in serious problems. This can be prevented by using the IObit Malware Fighter, which scans all downloaded files in real-time, thus guaranteeing a safe PC. Protection Against Man in the Middle (MitM) Attacks, to completely deny man-in-the-middle attacks and phishing websites. It alerts the users if a website has fake SSL certificate. Virus Scope: Renders consistent monitoring of the regular computer activities and notifies or warns the user if there exists any suspicious or malicious activity that could threaten your security. Webfiltering: Instant protection from threats and phishing websites in all browsers and permits you to set rules to limit access to specific websites.